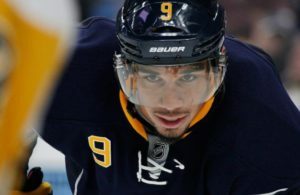 The inevitable arrived today between the Buffalo Sabres and the Winnipeg Jets when the two teams concluded a deal that will send controversial power forward Evander Kane along with defenseman Zach Bogosian and unsigned goaltending prospect Jason Kasdorf. In exchange, the Buffalo are acquiring defenseman Tyler Myers, forward Drew Stafford, prospects Brendan Lemieux and Joel Armia and a 2015 first-round draft pick. This deal was brewing since the weekend between the two teams and Winnipeg general manager described the deal as not a “knee jerk reaction” in a televised press conference on TSN. It is noted that the first round pick the Winnipeg Jets are getting from Buffalo is their lowest. Buffalo is well equipped for the next draft with three first round draft picks acquired in previous deals with St-Louis (Ryan Miller) and the New York Islanders (Thomas Vanek). 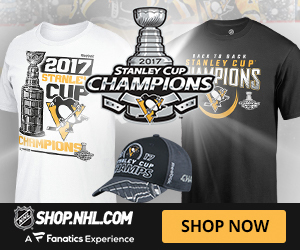 Kane will not be able to play until next Fall, as he is heading for shoulder surgery that will keep him sidelined from 4 to 6 months. 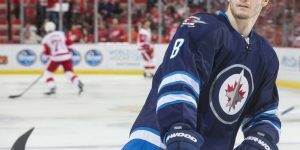 The cornerstone of the deal may well be the acquisition of Tyler Myers and the acquisition of Brendan Lemieux by the Winnipeg Jets. This is a trade aimed at short term and long term for both teams. Cheveldayoff admitted that it took a lot of work to get it done based on the pieces part of the deal and also the salary cap issues to consider. Drew Stafford will become an unrestricted free agent at season’s end and may be see by the Jets as a rental for the playoff push by Winnipeg. 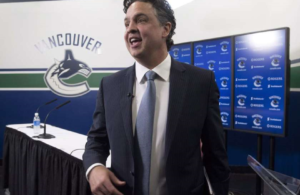 According to TSN Hockey Insider Pierre LeBrun, the Vancouver Canucks were also talking trade with the Jets on Tuesday night, but Jets called the Canucks Wednesday morning to say they were pursuing a bigger deal with another team. 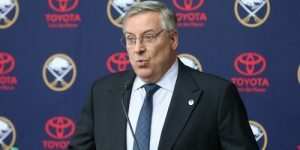 In addition Craig Custance from ESPN declared that the Sabres will be retaining half of his salary. This trade will have a direct effect on some of the teams looking for defense help since Tyler Myers is not in play anymore. This will put more emphasis on players like Jeff Petry, Marc Methot, Mike Green, Dion Phaneuf, and Cody Franson. 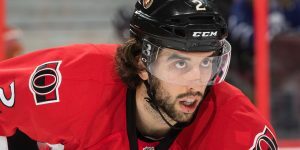 Zach Bogosian who’s 24 years-olds, is already in his seventh NHL season with the Atlanta Thrashers then on to the Winnipeg Jets. In 2014-2015, he had 3 goals, 10 assists. 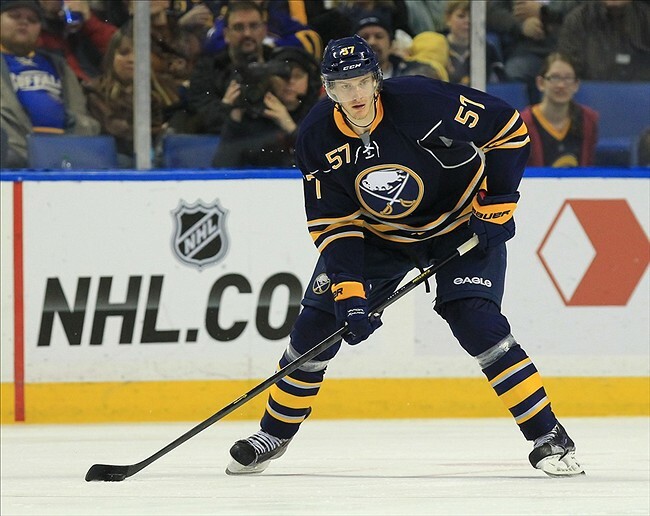 Tyler Myers, 25, was rumored to be possibly heading to the Detroit Red Wings and despite having an awesome rookie campaign, Myers has considerably slowed down the last three-four years. 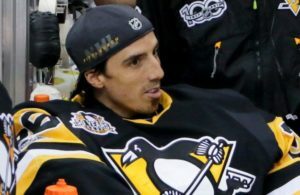 He was selected by the Sabres in 2008, 12th overall. This year Myers continued to log a lot of minutes for the Sabres and had four goals and nine assists in 47 games played. Drew Stafford at 29 is the oldest player in the trade. 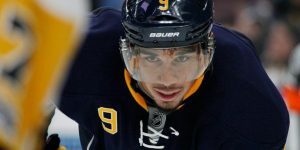 He will be an unrestricted free agent come July 1st and this year fared well on a mediocre Sabres team with 9 goals and 15 assists in 50 games played in 2014-2015. Stafford a nine year veteran played his entire career with the Sabres. 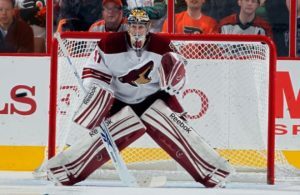 he was drafted in the first round of the 2004 NHL Entry Draft. Joel Armia has been playing this season for the AHL Rochester Americans and Brett Lemieux is playing for the OHL Barrie Colts. Jason Kasdorf, 22, was selected by the Jets in the sixth round of the 2011 NHL Draft. He is currently playing for RPI of the NCAA. Editor’s Note: This is obviously an excellent trade for the Winnipeg Jets and might just propelled them into the playoffs. I don’t anticipate any major changes for the Jets past this trade but look for them to add more scoring if a trade takes place. The big pieces are undoubtedly Tyler Myers and would consider adding Brett Lemieux as the dark horse in this trade. I would say for Buffalo and Tim Murray, he is looking at long term and hope Kane in a Buffalo Sabres uniform will restart his career. The Buffalo Sabres weren’t done today sending goaltender Jhonas Enroth to the Dallas Stars for goaltender Anders Lindback and conditional third round draft pick. Enroth, 26, played five seasons for the Sabres and was 13-21-2 this season.